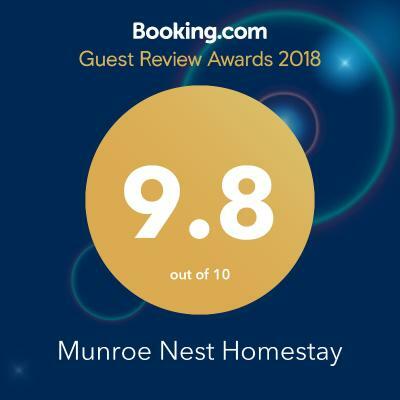 Lock in a great price for Munroe Nest Homestay – rated 9.7 by recent guests! The hosts are kind and helpful. Highly interested in helping to understand the culture and environment. Excellent punted canoe dawn tour and afternoon farm tour. 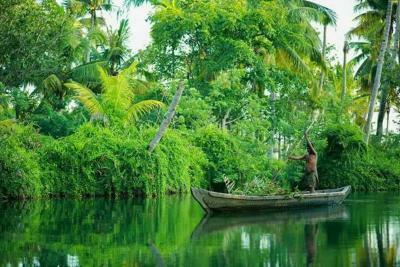 Beautiful backwaters. The location is quiet on a canalside. 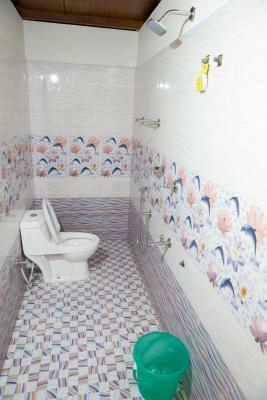 The cottage is simple with 1 room and bathroom. The main bed ia comfortable with mosquito net. We were able to have a second mattress brought in for a second bed. The room has a fan. There is a hot water boiler for tea. Nice porch area. We ate all our meals there. Good curries and local fish. Excellent value. Quiet and relaxing place in the nature, by a small canal. Vinush and his family were very welcoming! 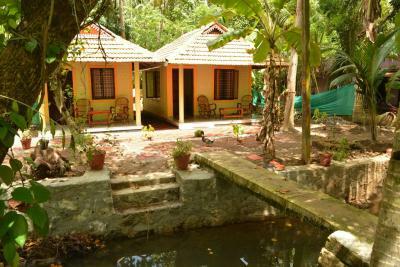 Vishnu's homestay is lost in the backwaters in broad nature. Him and his family were wonderful hosts for the 3 days we stayed there. It was rainy but they made us feel at home, showed us around and did the canoe tour when weather was better. 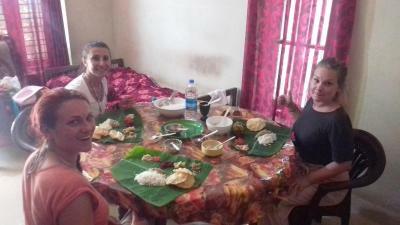 Food is perfect (we had 3 meals a day there), clean and nice room with mosquito net and fast wifi. 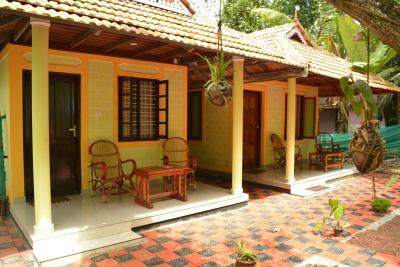 Exceptional homely place with a lovely host. Ideal homestay to crash for a week and explore the whole Munroe Island. Room provided to us was spotless and food (everything, but I would like to specifically mention Tiger prawns fry) cooked by Vishnu's Amma (mum) was delicious and spicy. Relax by the chair in portico, gaze or wave at passing canoes, have a cup of tea or read a book like you have all the time in this world with nothing to worry about. Food is excellent. Vishnu, host and guide is very good. Peaceful location among villagers. Accomodation is clean and comfortable. For someone looking for a quiet backwaters stay away from tourists this is a good choiceCleanline Vishnu speaks good English and is eager to help.His sunrise boat trip highly recommended Good bicycles free of charge. This place is wonderful. You are actually IN the backwaters. A very unique experience. Sunset and sunrise boat trips were amazing!!! 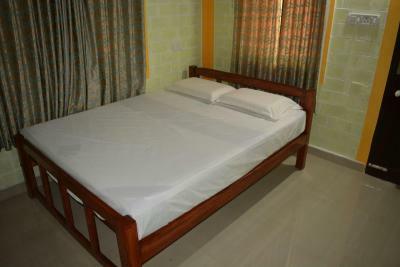 Rooms are clean with good facilities. The welcome was fantastic We were met at the gate. We had tea and coffee on arrival. The setting is beautiful. We had a marvellous supper at 7.30pm seated outside under cover. 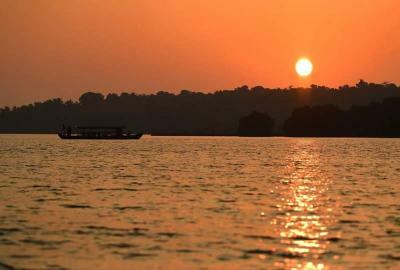 The boat ride that Vishnu took us on from 4.30 untill just after 7pm was fantastic. The place is wonderfully serene. Monroe Island was a haven of peace in our sometimes hectic schedule. Breakfast was superb and nothing was hurried. We felt under no pressure, it was supremely relaxing experience. 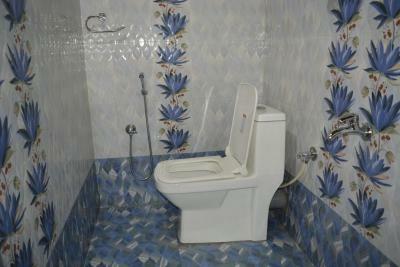 The accomodation was really comfortable and the owners living next door were very helpful. The setting was idyllic rural. There are no hotels, restaurants or cafes. Our food was prepared by the family. Simple and local cooking for a very cheap price. 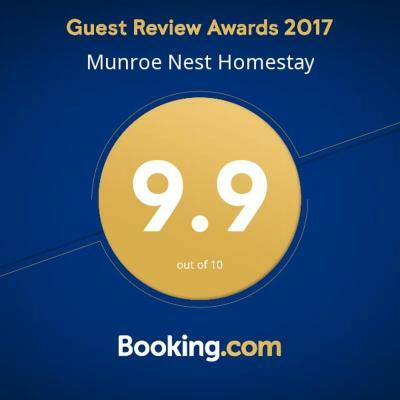 Staying at Munro Nest was to live in the heart of rural living with very small water ways criss crossing our path including running directly in front of our veranda. Old cranky bikes were available for us to use to meander about on. 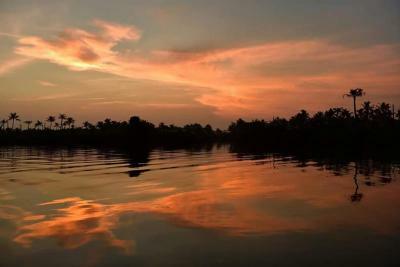 Vishnu, man of the house, is able to offer either a sunrise or sunset cruise for 500R per person, which was delightful. Vishnu is very well known so if you get lost finding the home stay, everyone knows him!! Providing river views, Munroe Nest Homestay in Munroe Island provides accommodations and free bikes. Complimentary WiFi is provided. A vegetarian breakfast is served daily at the property. The family stay has a terrace. 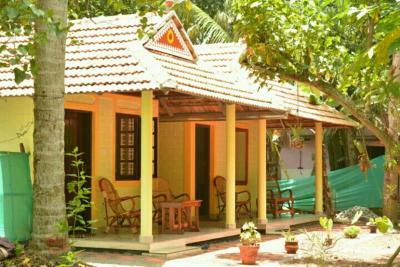 Kollam is 11 miles from Munroe Nest. 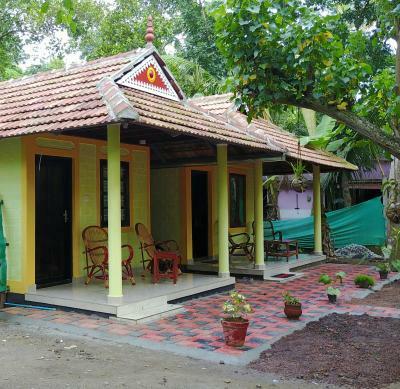 The nearest airport is Thiruvananthapuram International Airport, 50 miles from the property. This property also has one of the top-rated locations in Munroe Island! Guests are happier about it compared to other properties in the area. This property is also rated for the best value in Munroe Island! Guests are getting more for their money when compared to other properties in this city. 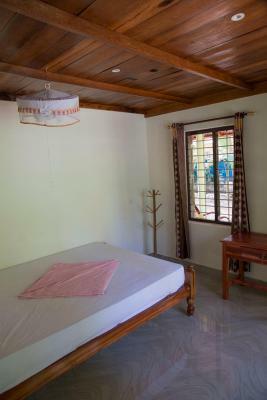 When would you like to stay at Munroe Nest Homestay? 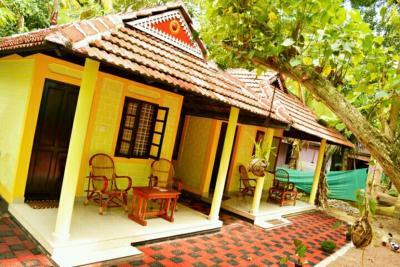 House Rules Munroe Nest Homestay takes special requests – add in the next step! The only comment: A bottle of drinking water per person and an extra cup of coffee or tea could have been provided at no extra cost. 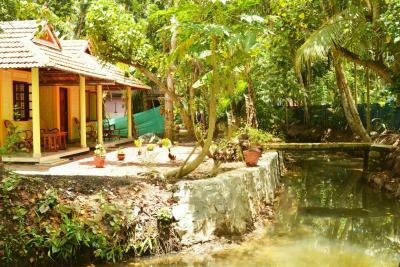 A beautiful property right on the canal, surrounded by untouched nature and friendly locals. 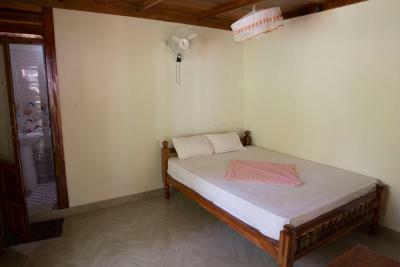 The room is spacious and comfortable, with a very comfortable bed and a fan. Good shower. Cozy chilling area in front of the room. Vishnu is a great host. Very helpful and nice. His mother is sweet too and cooks the best authentic Indian food you can imagine. 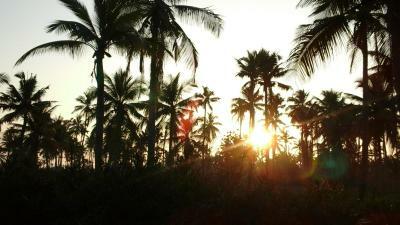 It’s just the perfect place to relax and enjoy the natural beauty of the island. Tip: Do the sunrise boat tour with Vishnu. It’s really magical! The location. It is not on a road, so driving up to the homestay is not possible. You have to walk around 150 meters to reach it. The absence of air conditioning in the rooms were pretty much felt and made the night very uncomfortable. Such a peaceful place. 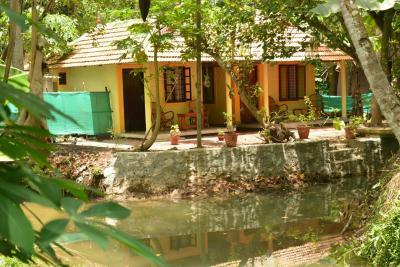 The room looks straight to a green and luscious backwaters canal - you can sit on the porch and watch the occasional 'traffic' go by. 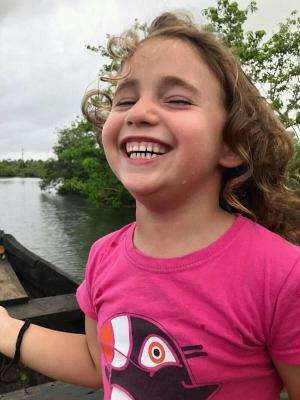 By 'Traffic' i mean; kingfishers; friendly neighbours carrying coconuts; wandering travellers carrying exotic instruments; shy or friendly but always polite kids; guys in their long wooden canal boats with awesome headwear letting out odd screams which I finally found out it means they have fish to sell! I saw all this in the one day I was there. I also went swimming in the river which was super clean. There literally isn't a road to the property which adds to the peace (the tuk-tuk driver will drop you at the top of a dirt road and it's just a minute walk) Vishnu is a really peaceful guy - very calm energy - and his wife and mother are lovely. They were really helpful in every way. If I hadn't have already booked my next accommodation I'd have stayed another night. Highly recommend! Vishnu is a great host and has a really kind family! The Homestay is at a nice calm place. We had breakfast and dinner at his place and it was amazing! He also organized boattrips for us and helps you with any other question. Perfect homestay with a lovely family. Meals were amazing. Vishnu and his wife did everything to make our stay memorable. Highly recommended this place. This is in a great location on a little canal. You can sit out the front of your room and pontificate life. The meals here were excellent. We went on the canoe trip with Vishnu which was really good. We went at sunset. The eagles are amazing here. We took the bikes out for a spin one day. They don't really have brakes so you need to be careful on the hills!! We got around a lot of the island this way. You can walk here from the train station in about 15 mins but it is nearly impossible to find even with google GPS. We walked from the train station which wasn’t far, but it would be useful to have a sign from the road (you have to turn right down a little path by a football field). Luckily everyone in the village knows Vishnu so you can just ask around! A bin in the room would also have been useful. 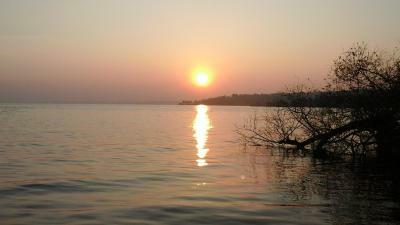 We went on both the sunset and the sunrise canoe tours and we loved them both. 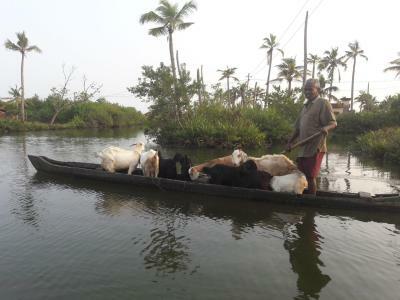 They had such a different feel to them and we got to see different parts of the backwaters. Vishnu was very kind and friendly and taught us many things about the area.